MountaineerTHON is honored to work in partnership with high schools across the state of West Virginia in helping them to facilitate their own Dance Marathon programs, also known as "Mini-Thon." 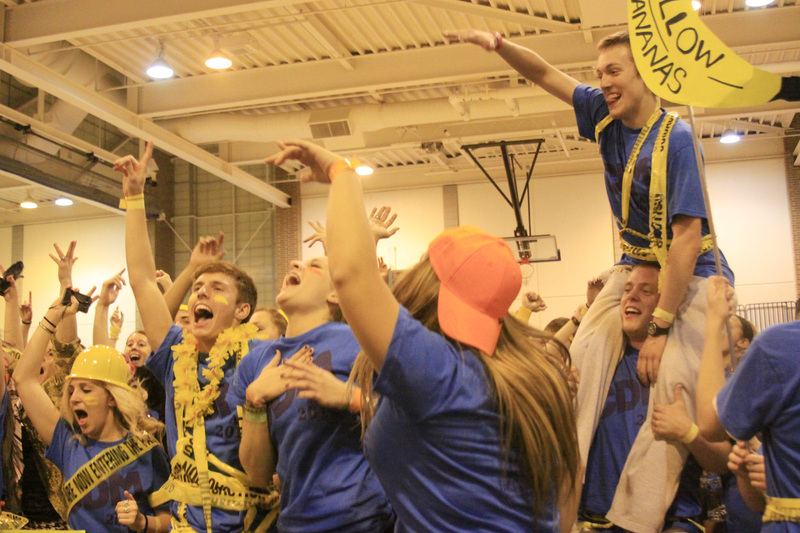 Similar to MountaineerTHON, high school students raise money for WVUMedicine Children's Hospital, learn a Line Dance, meet local families, and participate in other exciting activities during the marathon! Hosting a mini dance marathon is an excellent way to empower students to promote positive change within their community, as well as to teach students the value of philanthropy in an engaging way. If you would like any information on how we can assist at your high school’s dance marathon or if you have any questions on how to get started, please contact Lauren Clark, Assistant Director of High School Programming, Here. The High School Dance Marathon committee is happy to provide any support possible! We are currently looking for HSDM programs for the 2017-2018 School Year. Please contact our High School Dance Marathon team to start your program today!